Between them, two members of the Strachan family were responsible for most of the most emblematic buildings in Malaga built between the end of the 19th and beginning of the 20th centuries. Fernando Guerrero Strachan (1879-1930) was the pioneer and his long list of achievements includes Calle Larios, Hotel Miramar, the Banco Hispanoamericano building on the Alameda Principal. His son, Fernando Guerrero Strachan Rosado (1907-1941) was the architect behind the City Hall, the original Rosaleda stadium and the restoration work on the Gibralfaro Castle and Alcazaba Fortress. 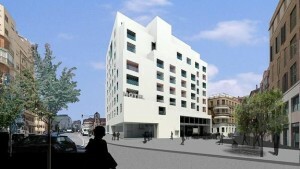 Plus countless other stunning façades they either created from scratch or refurbished to their clients’ requirements. Considered the most elegant street in Spain when it was built towards the end of the 19th century, Calle Larios still ranks among one of the finest in Spain. The main artery in the city centre, it’s also a centre piece for many events in Malaga (the Christmas lights along Calle Larios are particulary spectacular). 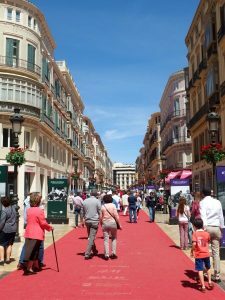 The commission was to create a street opening up Malaga city centre by connecting the Plaza de la Constitución with the Port to provide easy access and allow fresh sea air into the narrow city streets. Fernando Guerrero Strachan senior took his model for Calle Larios from the street plan in Boston – a simple straight line with uniform façades on either side. The result was a resounding success. 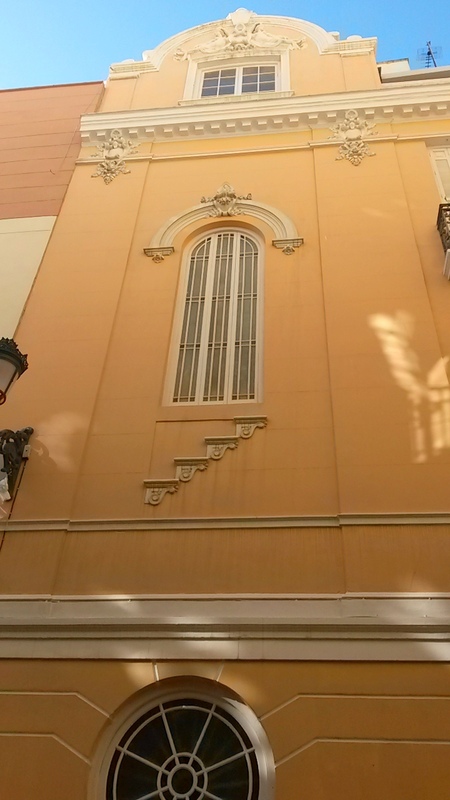 Keep your eyes open for: the façades along Calle Larios look the same, but look again and you’ll see different details in the moulding in each building. Notice the rounded corners onto the side streets – they allow for even better ventilation. Banco Hispanoamericano headquarters – situated on the corner of Calle Córdoba, this is an example of the new European architecture that became all the rage for buildings in Malaga during the early 20th century. Built in the Modernist style (another Malaga architect Manual Rivera Vera joined Strachan father to build this), the cream façade includes lions’ heads (representing commerce), the serpents curving up the iron grills (representing moneylenders) and the elegant Hermes statue on the roof. This building now houses temporary exhibitions. The architect Rivera Vera was responsible for the Felix Saenz building (currently home to H&M), which looks pretty similar to this one. Archivo Municipal – Strachan remodelled the façade of this building, originally built in 1792 and home to the Loring family. 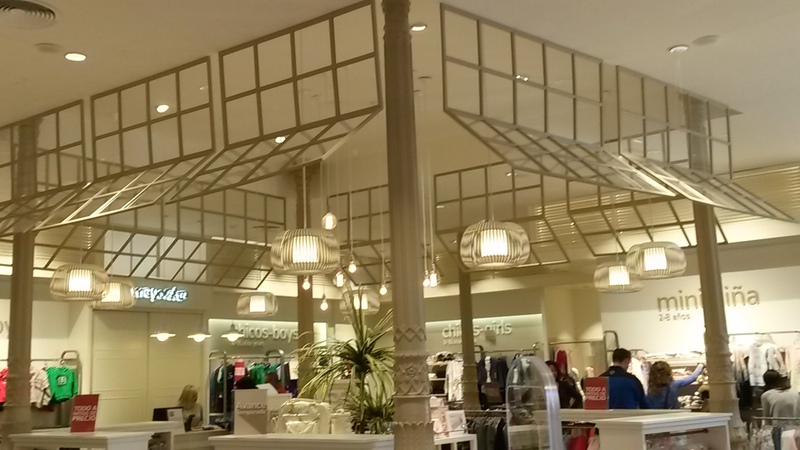 Strachan added the marble and balaustrade (made at the Heredia ironworks in Marbella). Alameda Principal 32 – another Strachan refurb, this building combines Moorish and Gothic architectural styles and is one of the most striking buildings on the north side of the street. Also owned by the Loring family who let the building to holidaymakers. Keep your eyes open for: façades that have been painted to look as if they’re made of stone. 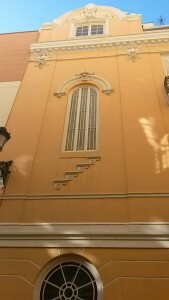 The Archivo Municipal has some good examples of this technique used because building materials were scarse in Malaga. 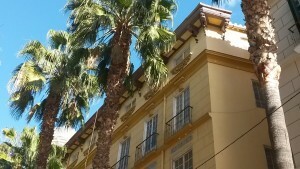 At the start of Calle Nueva in Puerta del Mar, one block of four buildings was built by Strachan in answer to the need for cheap property in Malaga. Budget restrictions meant he could add little detail to the façades but they’re not entirely plain. 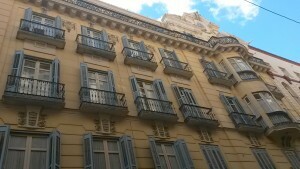 On the way up Calle Nueva, admire the building housing Natura shop considered a particularly good example of early 20th century architecture in Malaga. And at the top of the street, two Strachan buildings face each other. Nearest Plaza de la Constitución, this building was built entirely by Strachan who went to town on elaborate detail from the ground floor to top. On the other side is one of his refurbs. Keep your eyes open for: interior patios in Strachan-designed buildings in Malaga. Designed to bring as much natural light and ventilation, these patios are often works of art in their own right. Strachan father was also responsible for the Iglesia del Sagrado Corazón (Church of the Sacred Heart) just behind the Carmen Thyssen Museum. 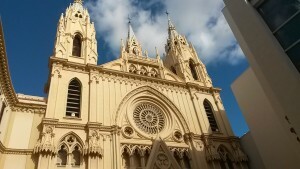 Inspired by the cathedrals in Ávila and Burgos in northern Spain, this elegant church was built in the neo-Gothic style. Its cream and yellow façade goes a long way from the dark stone used previously for churches and the interior is refreshingly bright and airy, unlike many older churches in Malaga. 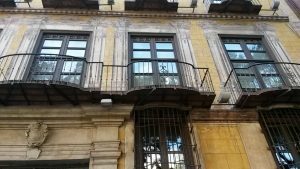 Old hotels making way for new – the Pensión La Mundial between the river and Atarazanas Market was built by the Strachan commissioned by the Loring family. Now in almost complete ruin, a new hotel is planned for this site. To be built by Rafael Moneo in his signature cubic style, work on this new hotel in Malaga may start this year. Façades that tell you what’s inside – Calle Echegaray starts with a stunning Art Deco building in bright yellow, a classic Strachan design. 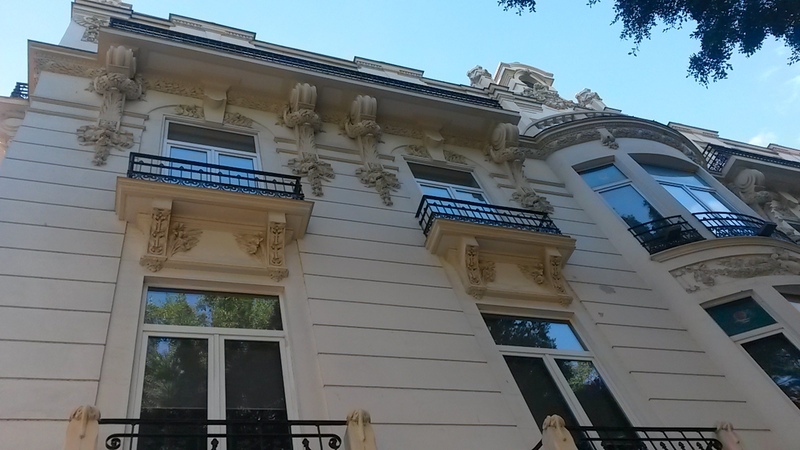 One lovely detail on this façade is the moulding immitating four stairs reminding you that inside there’s a staircase. 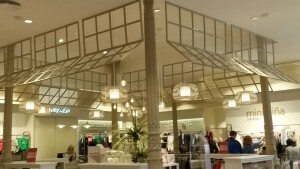 Keep your eyes open for: in their designs, the Strachans had an eye for commerce – all the shops in buildings designed by them included steel pillars to make the shop floor bigger and brighter. Mayoral on Calle Santa Maria is a good example of this. There are numerous other examples of Strachan architecture in Malaga. 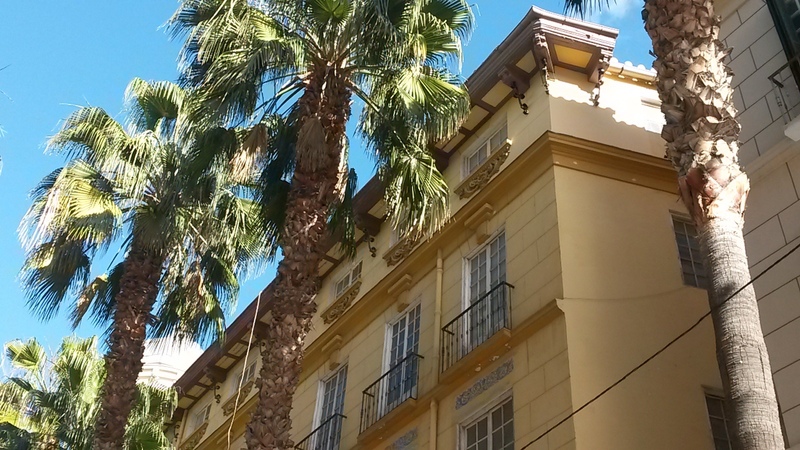 El Limonar district has several beautiful mansions – read our Malaga walking tour round El Limonar to find out what to see – and the Miramar Hotel, opened in 2017 after total refurbishment. Map of examples of Strachan architecture in Malaga city centre. 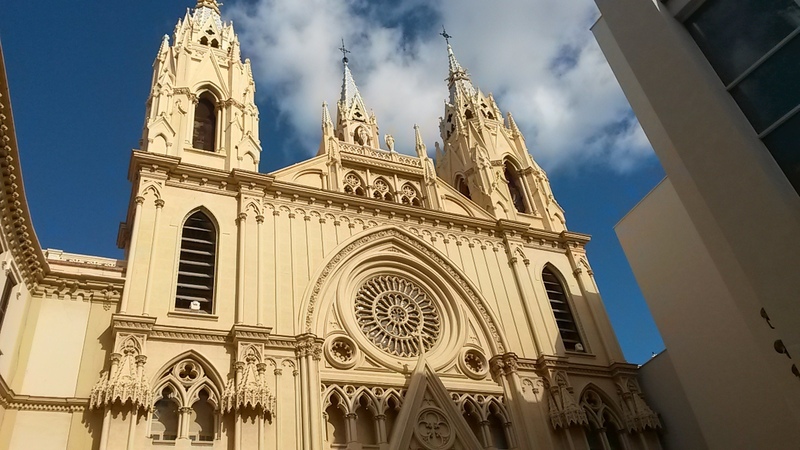 Discover the latest about Malaga – sign up for our free fortnightly newsletter. All you need to know about what’s on and what’s new in the city in your inbox every other Friday.